Word up, my little burgeoning vegetarian. 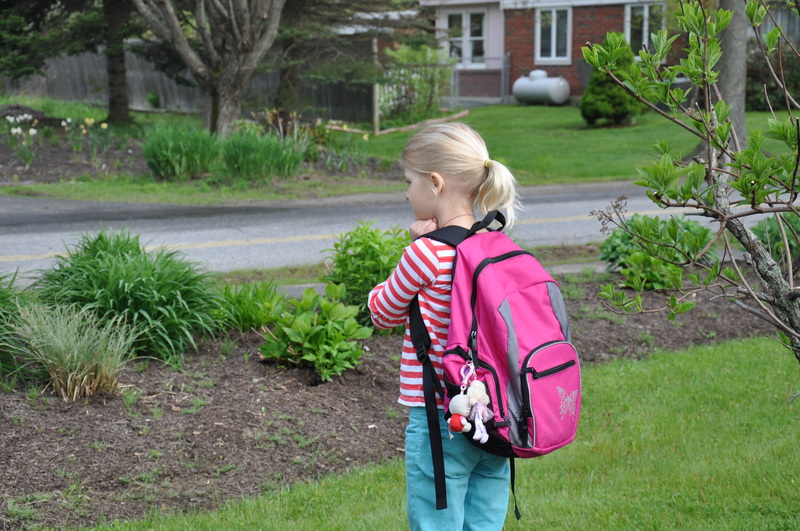 Our 7-year old runs off the bus today, right past me and into the house, her jeggings and sherpa-lined boots a blur as she drops her backpack, flies up the stairs to her bedroom. Slam, goes the door. Our younger child, aged 5, looks at me. I look at her. A minute passes. The door opens. “Um, I guess so?” I say, unsure of the phone transaction about to go down. I mean, you’re 7. What will you talk about? How awesome gym was today? How funny that Scooby episode was? How the very large wooden Nutcracker you’ve been sleeping with – since Christmas – fell off your bed last night, making such a big thud that I thought there was a perp in the house? I dial. Hand it to her. She retreats into her room. Closes the door, giving me one last look as if to say, Um. Little privacy, please? If someone had answered on the other end, would I have pressed my ear to the door? Eavesdropped on the juicy first grade gossip? Hard to say. (Pretty sure that’s a yes.) Luckily the door opens, she comes out. “No answer,” she says. We walk downstairs and within minutes, she is playing with her sister. Playing babies. Sigh. A moment of relief. Not yet a teenager, not even a tween, but my sunny 7-year old. “Okay,” she says to her sister. “I’ll be Nancy, and you be Lily again. Okay? Sound good?” Little sister nods, grateful for girl time. She hikes up her jeggings. Those friggin’ jeggings. I resist the urge to unearth a onesie, see if it will stretch over her long torso, over those crazy long gams. Could I fold her up and stuff her back in my womb? I sigh and do that crazy math where I start adding up the years, seeing how old I will be when they are a certain age. Or how old they will be in X amount of years. 7 doubled. Teenager. Hates me. I close the door on that worm hole and sit next to them, listen to their playtime. Knowing I’m pretty sure I wouldn’t be want to be 21 again if you paid me, knowing fully well I would rather be here than anywhere else on Earth.